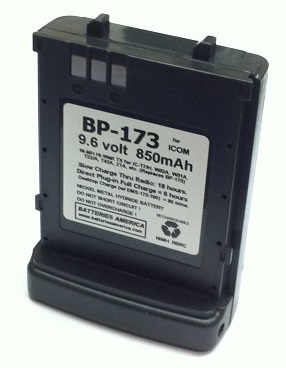 BP-173 : 9.6 volt 850mAh rechargeable Ni-MH battery pack for ICOM radios. Fits the IC-T7A, IC-W32A, IC-Z1A, IC-T7H, IC-T22A, IC-T42A, etc (all worldwide versions). Replaces original BP-173. It provides about 15% more running time than the original pack, it is substantially lighter in weight, and it is physically the same size as the stock battery! 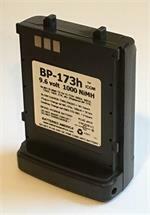 This battery can be recharged thru the radio (with your original wall charger plugged into the radio), OR in a desktop charger (such as the EMS-173-180). 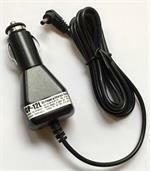 WC-173: Wall Charger for 9.6volt BP-173 style battery froms made Batteries America. Plugs into 120VAC wall outlet; the other end plugs directlyinto jack on the side of the battery pack. Output = 120mA/hour. 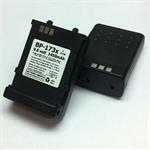 CBE-173 : Battery Eliminator for ICOM HT radios. Fits IC-W32A, IC-T7A, IC-T22, IC-W31A, IC-Z1A, etc. 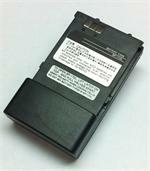 The CBE-173 is a battery eliminator that fits ICOM radios such as IC-W31A, W32A, Z1A, T22A, T42A, T7A, T7H, T7E, W32E, etc. It plugs into a 12-13.8VDC socket; has coiled cord; other end clips onto the radio. Provides mobile Hi-Watt operation.